Open to boys and girls ages 4 to 14, our recreational soccer program currently offers two playing seasons: Fall & Spring, along with various camps and clinics in which to participate in the off seasons. Register your child for this fantastic program where our qualified staff of instructors, along with parent volunteers will provide a fun, enthusiastic intro to the beloved game. Silver State Recreation Soccer Leagues emphasize open participation and player registration, and employs a system of rostering players for the purpose of creating a fair and balanced distribution of playing talent among all participating Teams, and where each player plays at least one-half (1/2) of each game. 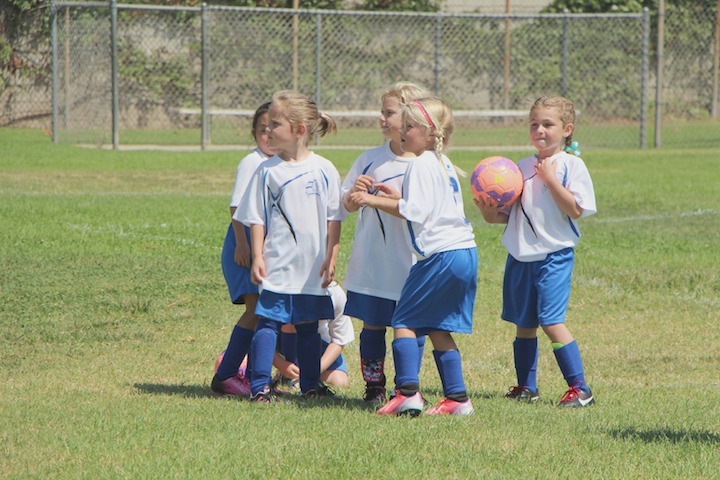 The Silver State Girls Soccer League (SSGSL) sponsors a division of recreational development for youth players beginning at four years of age. This program is home to approximately 500+ players each year who come from all over the greater Las Vegas area. The purpose of our recreational academy program is to provide the best introductory experience for players through a safe, fun, and progressive soccer environment. Our player development philosophy is deeply rooted in models provided by some of the most experienced youth coaches in the United States. Small-sided games at the younger ages not only emphasize FUN, they provide players with ample opportunity to development their fundamental skill sets and ball maneuverability. 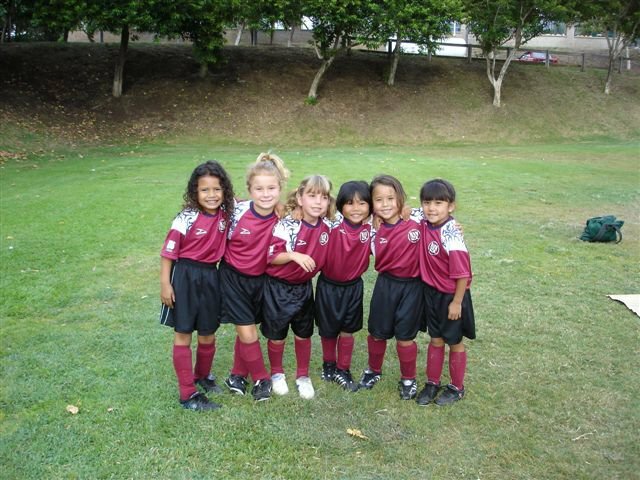 Here young players are introduced to many soccer related activities and learn to set personal goals, try new things without fear of failure, build self-confidence, and experience the joys of teamwork. Players are assigned to teams regardless of their ability or experience, and play in every game. Two seasons are offered during the year: Fall and Spring. The Fall season begins after Labor Day and concludes by Thanksgiving; the Spring season begins in March and concludes in May. Games are played on available Saturdays throughout the designated season. Player registration includes annual membership (player card w/ secondary insurance), team uniform, 8 games per season, open training sessions each week with our Director, player development curriculum and resources for coaches & parents, and a token of participation for each player at the end of the season. The use of tryouts, invitations, recruiting, or other similar processes to roster players to any team on the basis of talent or ability is prohibited. The administering league accepts any eligible participant (subject to reasonable terms and availability). A system of rostering players to a team is used to establish a fair and balanced distribution of players among all participating teams. Rules require that each player must play no less than one-half of each game except for reasons of injury,illness, or discipline. Mental, physical, and social characteristics of active small groups. Improved technique through frequent touches on the ball. Player possession of the ball as a productive and rewarding part of the game. Opportunities to contribute to team dynamics and problem-solving. Fitness, balance, agility, and coordination. Discovery…Allowing the game to be the teacher. 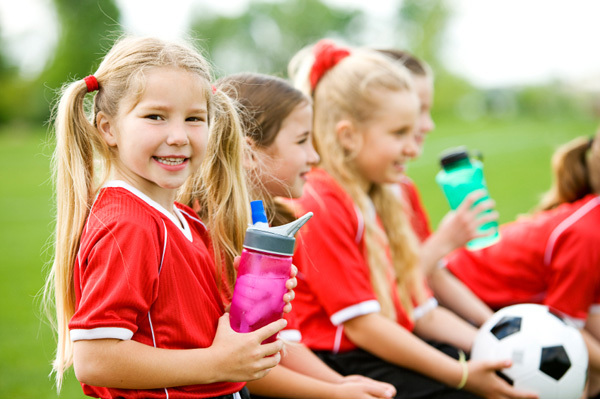 Children are introduced to the enjoyment of soccer through child-friendly themes and games. Practices are conducted once a week at the discretion and availability of the volunteer coach. Players are permitted to participate at their own comfort level and will quickly establish a sense of accomplishment and eagerness to be involved. During games, our youngest age groups begin with few players on the field, a small ball, and no goalies. Small sided games are a great way for players to receive ample touches on the ball that not only improve their skills but also work to instill confidence. Coaches are encouraged to manage the match play so that players from all teams participate, learn, and have fun. Goalkeepers must possess field-playing skills in addition to specialized goalkeeper skills. Playing without goalkeepers ensures that players are learning basic fundamental footwork that is necessary for all soccer players. Goalkeeping requires skills that are not often developed yet in young players, such as hand-eye coordination, peripheral vision, quick reaction and decision making. Goalkeepers are often disengaged from their teammates and activity simply due to their position on the field. Unsuccessful goalkeeping attempts can often lead to feelings of discouragement and guilt in young players. This age group introduces goalies to the game format while still offering all the benefits of small-sided match play. Teams play on a bigger field with larger size goals. Having field space and more players encourages teams to work together through both possession and passing techniques to accomplish soccer-related goals. Decision making and problem-solving become a fun and rewarding group activity. Practices are recommended once per week, but may be conducted twice a week on occasion, and at the discretion and availability of the volunteer coach. At this age players are setting personal goals for themselves and choosing their path in soccer. The recreational option remains ideal for players who wish to explore their enjoyment of soccer alongside of friends in a fun, easy-going environment. Small games are conducive to small rosters and fantastic for player development, so grab a few friends and come out and play. Practices are recommended once per week, but may be conducted twice a week on occasion, and at the discretion and availability of the volunteer coach.